I am deeply proud of this site, and likewise all the members of this wonderful humanitarian aid organization who work incredibly hard. These tireless clowns are relentless in their ongoing pursuit to bring psychosocial relief to people all over the world whose lives are challenged in one way or another. It has been a great honor to work on this project for the past several months. There’s probably more, but those are the big points. 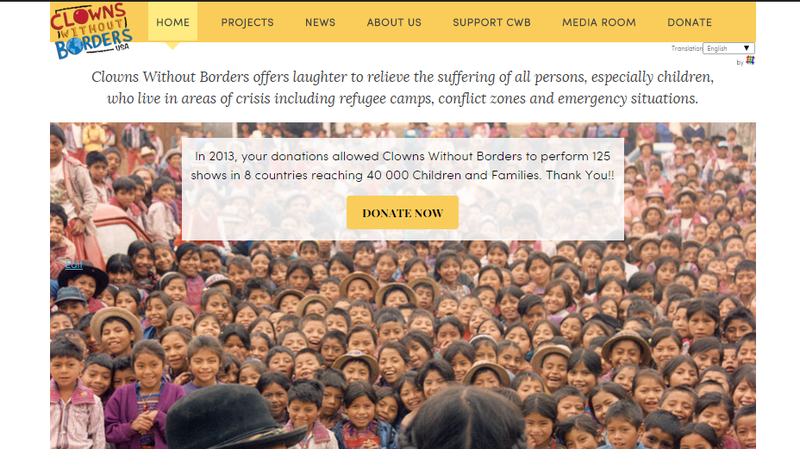 In addition, I assisted in the process of setting up clownswithoutborders.org as a Google Apps domain, which is now used for email as well as project management with Google Docs. Live site is here and thank you to Arthur Parker for orchestrating the launch!